My most stressful tasks as a coder have always revolved around money. Whether you're coding a site for a client, your own business, or your employer, you want to be damn sure that any handling of currency is accurate, secure, and localized. We always want our code to work but when someone's livelihood or employment is on the line, another level of importance is realized. After using fixer.io, I'm convinced I've found the best solution. fixer.io provides currency conversion and exchange rates for present and historical time, ensuring accurate data at checkout as well as refunds in the case that currency has changed over time. With this call you'll get currency conversions with a given base currency, in this case the US Dollar. Retrieving that value lets you refund to the given fiat currency without losing value based on the time of transaction! So many APIs don't support JSONP, making you create your own proxies -- thankfully not fixer.io! fixer.io is exactly what an API should be: easy to use, no hassle, and reliable; I enjoy using and reviewing apilayer's APIs for just that reason. 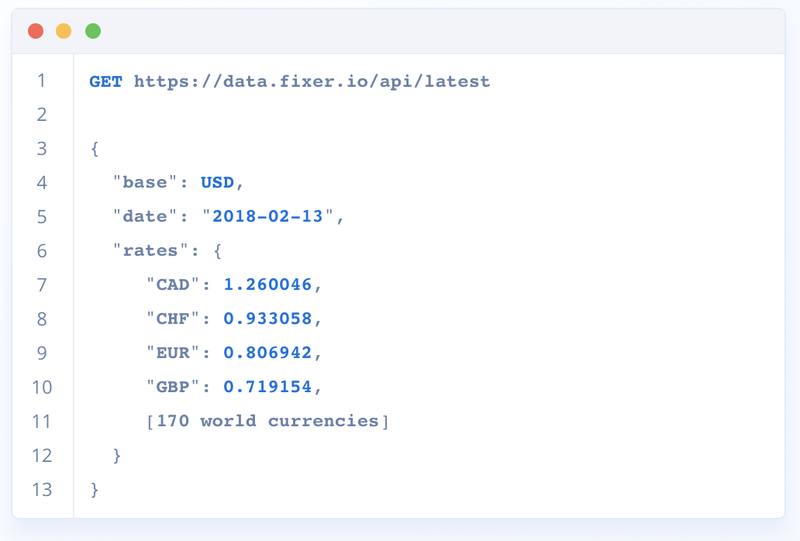 When the data really matters, especially in the case of money, use an API you can trust -- fixer.io!